If you have never fostered a homeless pet before, you should know that it is a very rewarding experience, but it’s very much like adding another pet to your home – only this one is temporary. We ask every foster family to treat their foster pet as if it’s their own, a member of their family. 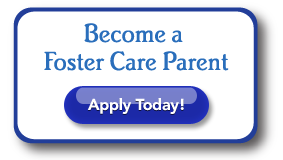 Foster families must provide a loving home (inside the house), food, water, play and lots of TLC. Heavenly Paws of MI provides routine medical care and tracks what is due and when. If an emergency arises, take the pet to the closest emergency vet and immediately call Heavenly Paws of MI. When an adoption event is scheduled, you’ll be notified and we’ll arrange to get your pet to and from the event. Outside of adoption events, if an approved application is received, we’ll arrange a meet-n-greet with the pet and prospective adopter, based on the schedule of the prospective adopter, you and Heavenly Paws of MI. We prefer to take the pet to the adopter’s home, but in some cases it isn’t possible and we may ask to do the meet-n-greet in your home. Some pets adjust faster than others when entering a new environment. Their world is small and when it completely changes – new people, new smells, new home, new routine, new everything – it’s scary. Some pets adjust after only a few days. Some cats hide for two weeks. Be prepared for an adjustment period. Be patient. Make sure the pet eats and drinks. And call Heavenly Paws of MI if you are concerned or unsure what to do to help. Fostering a homeless animal saves a life. Thank you for that gift. If you are applying to foster dogs, do you have a fenced in yard? If so, what type? (4' chain link, 6' privacy, etc) - Required for dog fosters only. Pre-established payment arrangements for services rendered at designated vets. Foster families have no up front vet costs. Reimbursement by check for food and litter expenses when receipts are presented to a Heavenly Paws representative.